If there is a question that you have, please feel free to email support@detailsflowers.com or give us a call M-F 9am EST- 5pm EST. We are here to help! Can I get started with Details today? Absolutely! 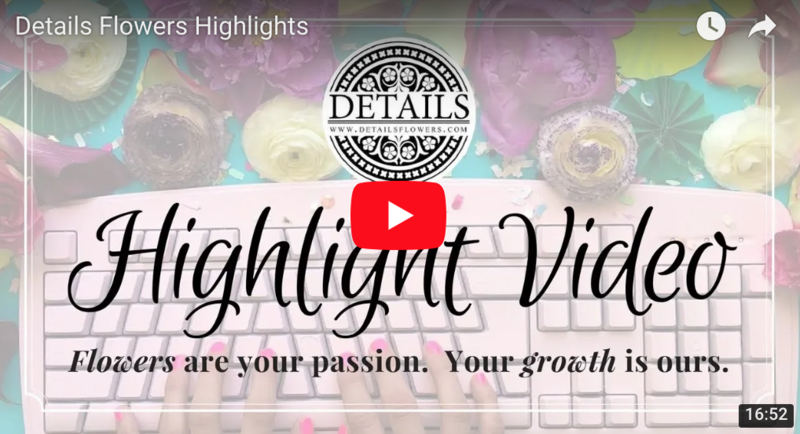 The first thing you should do is watch our tutorial videos below to get a good understanding about Details and all that the site encompasses. A sales member will reach out to you with an invitation code for you to get started thereafter. 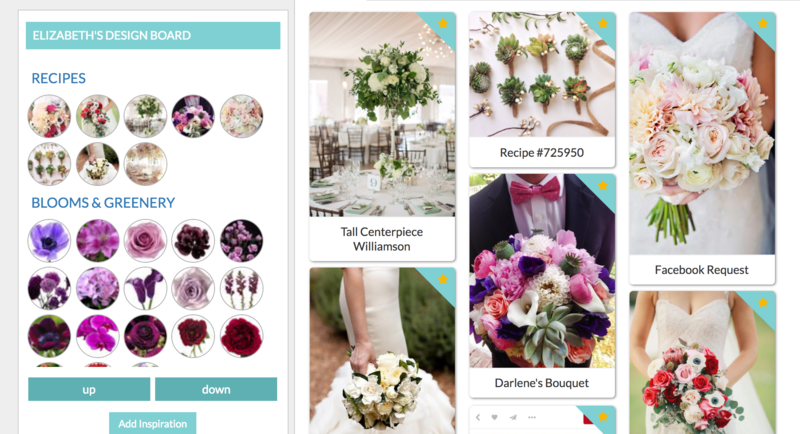 You get full access to Detail Flowers’ full suite of services for 1 week. During the 7 days, you will be amazed at how easy it is to use our program and will quickly become blooming with your business. You will be enrolled in a series of emails and invited to attend a training session with a group or privately. You will also have a personal sales representative to assist you as you and your team are get acquainted with all the details! As we add new features, you will automatically get to USE them! It’s an exciting time to join the Details Team. At the end of 7 days, you can officially subscribe to Details. You will have to enter your payment information, to continue. This payment will run monthly on the same date. You will continue to impress your clients, be amazed at how much time you saved, and build an extravagant image library of your designs the more you use Details! What is the monthly fee to join Details? 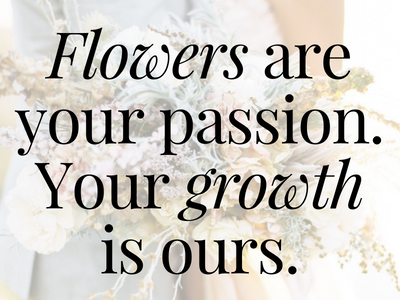 In the world of floral design, there’s no such thing as one size fits all for your business. DETAILS understands this better than anyone. That’s why we’re pleased to offer multiple levels of membership to fit the needs of any size business. Includes 3 templates, invoicing (additional fees apply), and 2 users. Training courses available with an additional fee. Includes 3 templates, training courses, invoicing (additional fees apply), and 2 users. Monthly PRO subscribers will also have access to our exclusive preview group and Details Rewards Program. All of the same great perks as the Monthly PRO, but also includes a $150 credit to purchase premium templates and a low 1.10% Details Invoicing Application Fee. Annual PRO subscribers will also have access to our exclusive preview group and Details Rewards Program. A perfect option for large companies with multiple branches. All of the same great perks as the Annual PRO plus a $400 credit to purchase premium templates, 4 users, .60% Details Invoicing Application Fee, and discount on additional Details accounts. Enterprise PRO subscribers will also have access to our exclusive preview group and Details Rewards Program. Additional users are available with every package plan for only $10/month per user. Questions? Ask a member of our team for more information! Visit our Homepage for more information! Yes! We run different monthly promotions, which you can find in your email inbox, or on our Facebook page! We've also partnered with The Society of American Florists to bring members an incredible discount! Members receive 15% off ANY new subscription plan and a FREE 14-day trial. Give a call to find out more! To create an event, you first have to add a New Client or Prospect to your account. Click Add Client/Prospect and follow the prompts. Watch the tutorial videos below before you get started. They are a big help to teach you how to do any and every thing on Details! Do I have to upload all of the images in the Flower Library and Recipe section? Lucky for you, Details comes preloaded with over 2,000 images, costs and over 80 recipes for you to choose from. You are welcome to add as many as you'd like at no restrictions. Do I have to set all of the costs in Details? Details comes preset with costs that are pretty close to market average. Any changes to costs or markups that you make are automatically saved as part of your company history and can be updated at any time by your authorized users. I heard Wholesalers are a part of Details, how does this impact me as a florist? You will be thrilled to have quicker turnaround on costs and availability to purchase in real time and be a part of predicative ordering. Our wholesaler partners are excited to participate in this innovative new buying process called ‘Request for Quotes’. When you begin your account, please visit the COSTS page to view our wholesale partners. Don't see your preferred supplier? Fill out the "request a wholesaler" form and let us know who you want to see on your cost page! Yes, you cancel at any time by going to the subscription button and clicking unsubscribe. If you are considering canceling, we ask you to reach out to us and tell us why you are leaving. What if I have any idea for a new feature? We love feedback and ideas from our users! This helps us to improve our product. We welcome every idea, and we add this to our features list. The more requested items are brought to the top of the list, but we are constantly adding and updating, so please tell us what you WISH! Are my recipes available to every florist on your platform? Absolutely not! All of your recipes are securely stored for your reference only. Any items that you add are part of your company, and no one else’s. We will from time-to-time push out updates and changes (i.e. new blooms, new community recipes), however your information is yours unless otherwise shared. We would like to have a feature in the future to share designs, but you would have to opt in to this opportunity by changing your individual recipes from private to public. We haven’t released this feature, yet! How often do you make updates to the Details system? Changes are happening daily at Details. We love feedback, and as suggestions and new features are added, we love to give them to you. For larger changes, we typically will send out announcements through our email marketing campaigns to alert all subscribers and those on our newsletter of these changes. Be sure to join the newsletter if you are not on it already. Do you have an online community or forum?